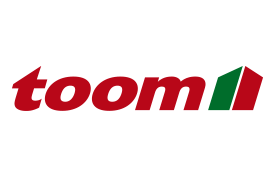 Always the best for your flooring! 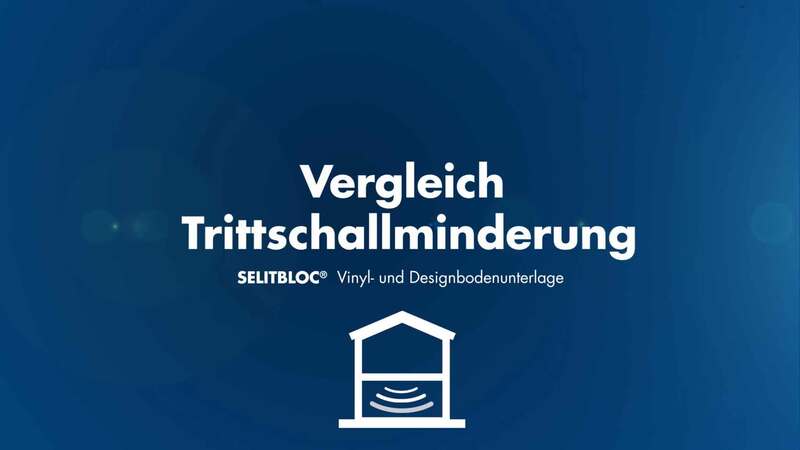 The SELITBLOC ® vinyl and design floor underlay optimizes the properties of floating click vinyl floors and has been specially developed to meet the challenging requirements of this type of floor. 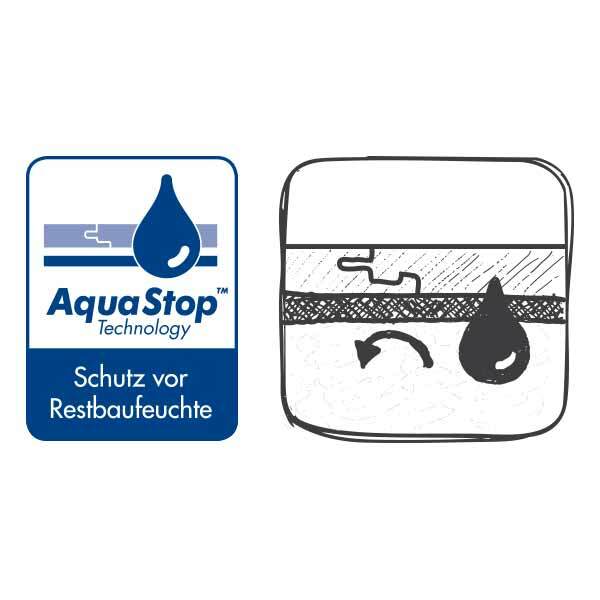 As an ideal intermediate layer between the substrate and the floor, they protect against damage caused by stress, falling objects and moisture and ensure the durability and efficiency of the floor construction. 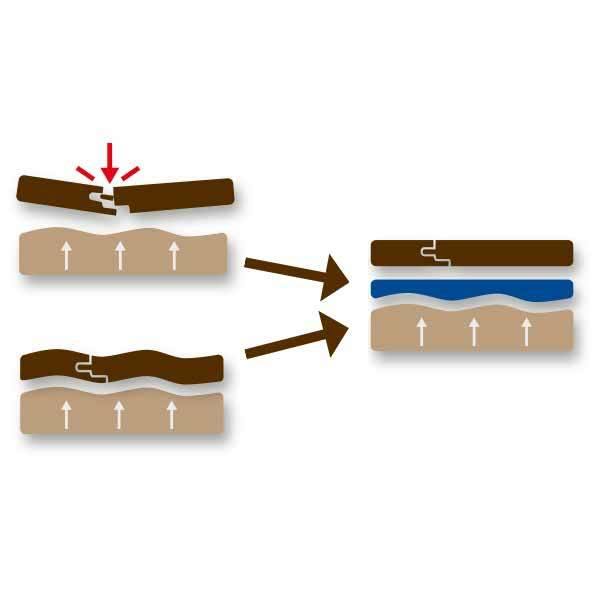 SELITBLOC ® is indispensable especially for substrate preparation. The underlayment compensate for punctual unevenness and protect against the marking of the substrate in the elastic floor. 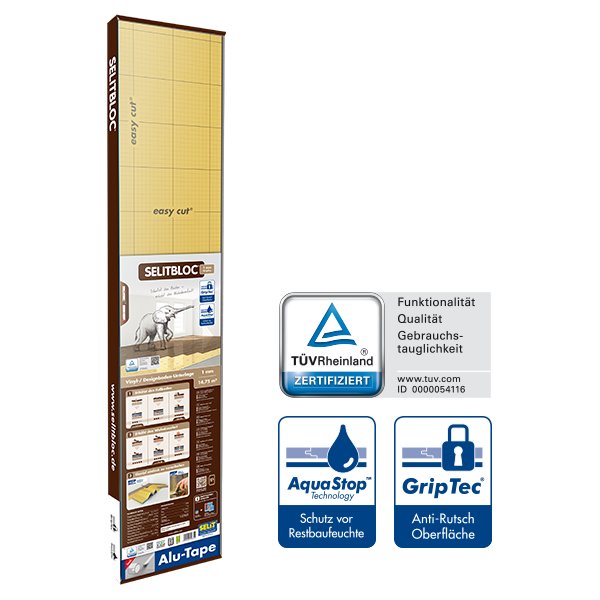 The slip-resistant surface of the products with GripTec prevents the floor from slipping. Joint formation is reliably prevented. Due to the excellent sound insulation properties, the SELITBLOC ® vinyl and design floor underlays also ensure a pleasant sound sensation. SELITBLOC® 1 mm GripTec is the ideal underlay for modern vinyl flooring to be installed in rooms with low structural heights and fullfils all the minimum requirement of the MMFA. 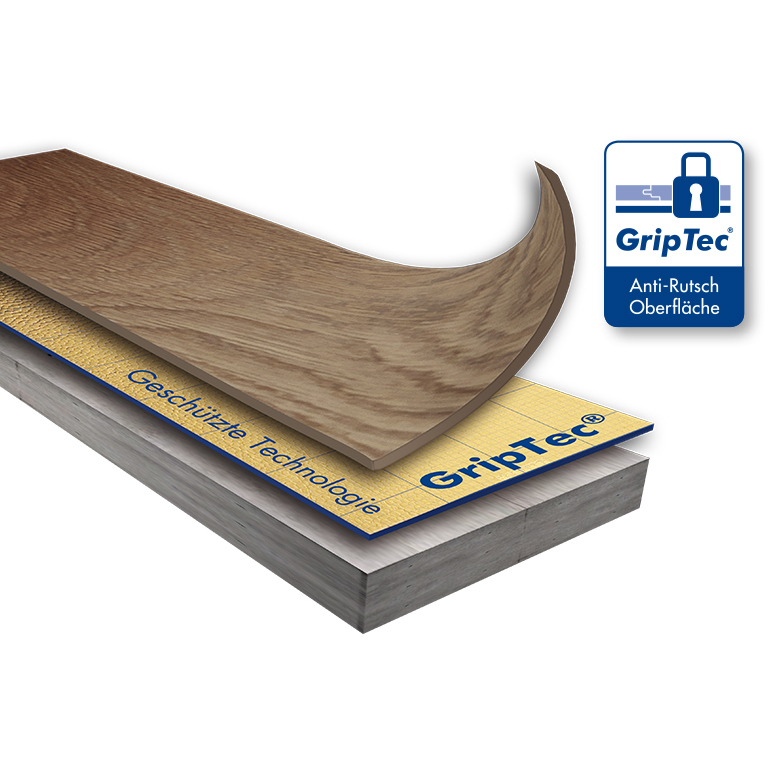 SELITBLOC® 1.5 mm GripTec is the ideal underlay for modern vinyl and design floors. 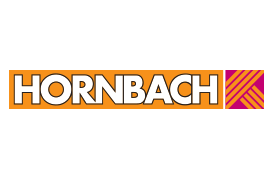 Its pressure-resistant foam core reliably protects the floor from damage. In addition, it protects against the subsidence of the subsurface, e.g. Tile joints. The SELITBLOC ® 1.5mm GripTec is equipped with an anti-slip surface that prevents the individual boards from slipping and thus opening the joints. She also has a tape attached. SELITBLOC® 1 mm is ideal for installation in rooms where only a small installation height is possible. It meets all minimum requirements of the MMFA. 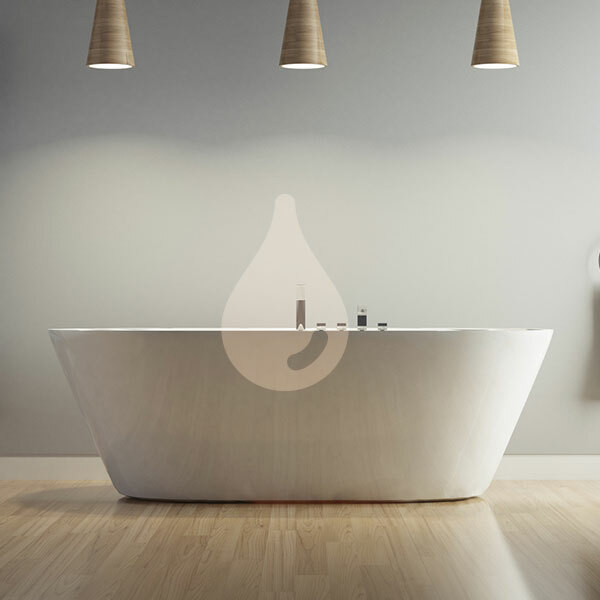 It can be used both in damp rooms and on underfloor heating. SELITBLOC® 1.5 mm meets the increased requirements of the MMFA and is therefore ideal for the requirements of modern click vinyl floors. The click contour facilitates the connection of the joints and ensures installation without cavities. 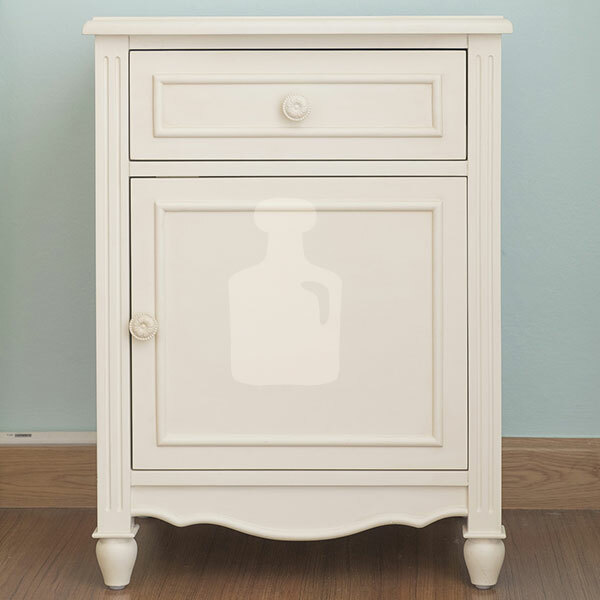 It can be used both in damp rooms and on underfloor heating. What makes SELITBLOC so special? The revolutionary GripTec® surface prevents slipping of the floating laid flooring. In order to hold the vinyl floor in place despite the horizontal forces working on it (walking or chair roller loads). 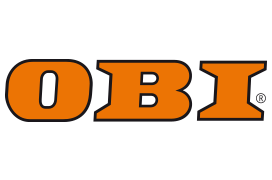 SELITBLOC® has a particularly slip-resistant GripTec® surface. This copyrighted technology enhances the quality and durability of the vinyl and design floor. Wherever there is mineral substrate, moisture-proofing is mandatory to prevent damage to the floor. This can be achieved with an additional vapour barrier or with an appropriately equipped underlayment. 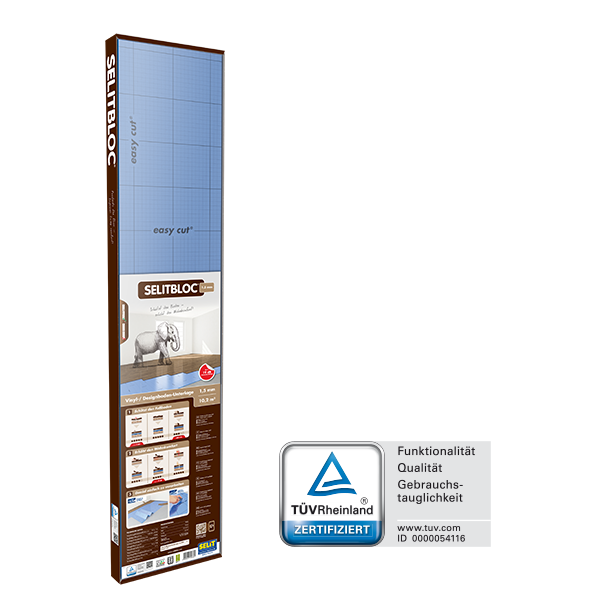 SELITBLOC® underlay for vinyl and design flooring is equipped with the AquaStopTM-technology and protects the floor against moisture. Your Browser unfortunately don't support the HTML5-Video-Tag . Please update your Browser to have a look at our video. 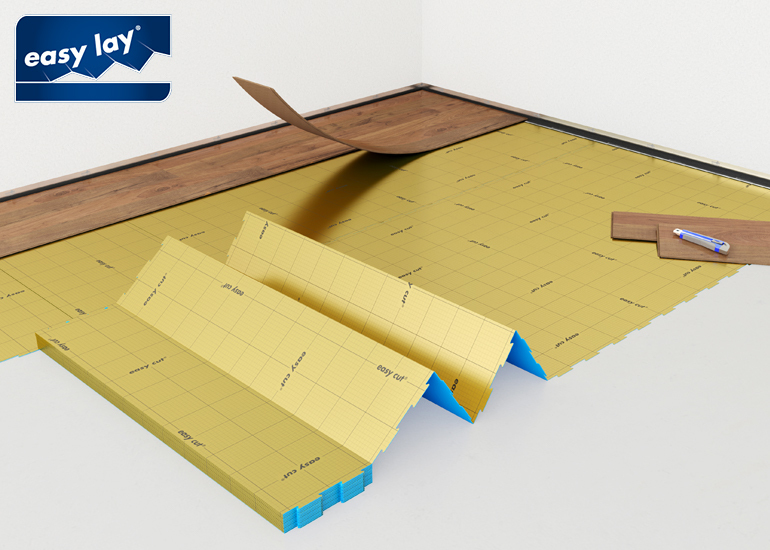 The easy lay® folding panel system makes it possible to lay long layers without joints, which also lie flat immediately and are easy to seal. The folding panels are also space-saving and easy to transport in a vehicle - the format is similar to that of the laminate packages. To prevent the formation of noise bridges and to avoid damage to the floor covering and in particular to the click-fit connection, care should be taken to ensure that no voids and overlaps are created when the individual insulating layers are laid. 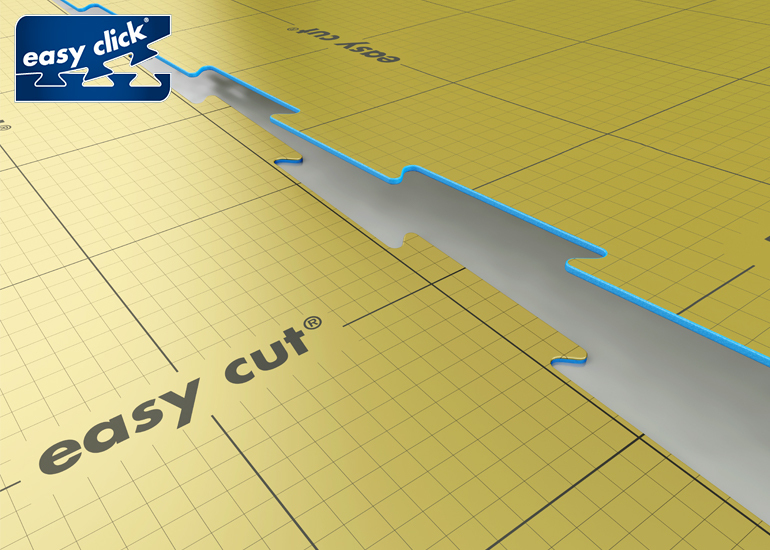 The easy click® contour allows individual layers to be clicked together to eliminate the possibility of sliding. This prevents the formation of voids and overlaps and provides lasting protection for the floor covering. A precise fit is required, particularly in the connection area to the door, in rooms with unusual angles, or in areas around radiators. The grid pattern printed onto the film allows the insulating underlay to be cut to size without the need for aids. 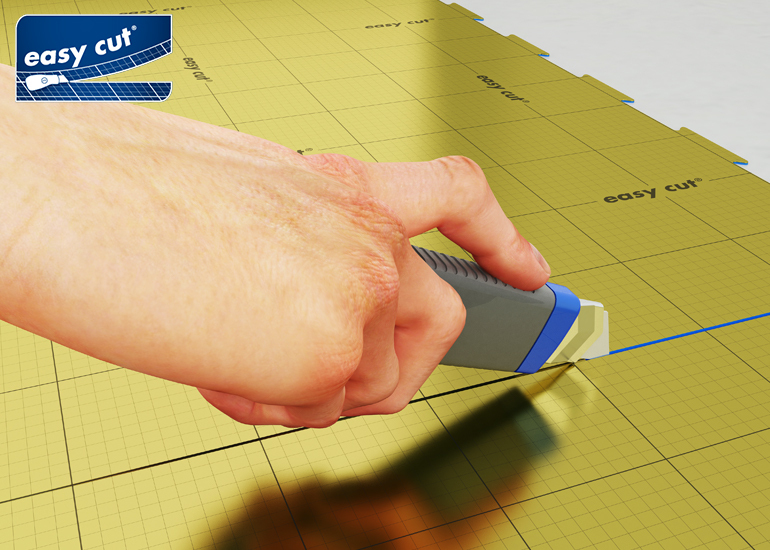 easy cut® – ingeniously simple to cut! The SELITBLOC® underlayment for vinyl and design flooring is ideally suited for use in kitchens and bathrooms. 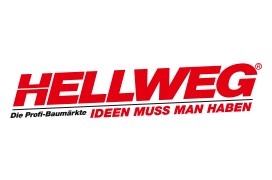 The SELITBLOC® underlayment for vinyl and design flooring is especially suitable for floor heating. The low thermal resistance allows efficient transmission of the heat. The high compression strength and the unique GripTec® surface of the SELITBLOC® underlayment for vinyl and design flooring allows the vinyl floor to support heavy furniture and absorb an increased load. 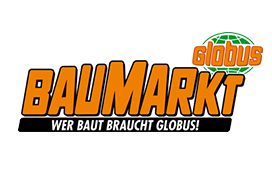 You'll find SELITBLOC® in the listed hardware stores. 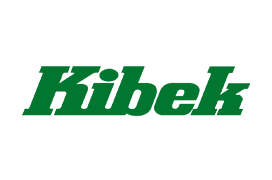 Click on the business logo – you’ll be able to find our products in a store located near you.